Two decisions this fall in Ohio offer hope for the wrongfully accused, while underscoring both the ironies and the complexities of misguided accusations of child physical abuse. One of them even opens the door to possible legal accountability for the casual over-diagnosis of abuse. First, the Supreme Court of Ohio has reversed the 2016 assault conviction of child care provider Chantal Thoss. In December of 2014, Ms. Thoss called 911 for help with a baby who she said had fallen from a couch and was “not acting right.” Doctors at the hospital found no bruises, fractures, or other signs of assault, but did find retinal hemorrhages and both new and old bleeding inside the boy’s skull, evidence of both a recent and a preexisting brain injury. Early in the investigation, Dr. Randall Schlievert at Mercy Health offered his opinion that the baby had been shaken by his last caretaker before the call for help. Detective Brian Weaver never questioned the presumed timing, and the case proceeded against Ms. Thoss. Ms. Thoss has been released from prison. The state has not yet announced whether it will refile charges against her. Meanwhile, Senior District Judge James G. Carr in western Ohio has allowed a civil case against Dr. Schlievert to move forward. Although far from any resolution, the decision is a rare crack in what is usually a solid wall of immunity for physicians who diagnose child abuse. In September of 2014, day care worker Beth Gokor called her supervisor to report that a 3-year-old boy she was watching couldn’t walk or stand on his own after slipping and falling on a wet linoleum floor. At the hospital, the boy told a physician’s assistant that he “slipped and fell,” and a co-worker later confirmed Gokor’s report that the floor was wet from a recent mopping. According to police notes, the child’s mother said he had told her he slipped while running. Ms. Gokor was fired immediately, and she was later charged with endangering children. When prosecutors received the alternative medical report, the state dropped charges against Ms. Gokor, who then filed a civil suit against Dr. Schlievert. The decision this fall rejected a motion by Dr. Schlievert to block that suit, which will presumably now move forward. Intriguingly, the same judge who gave the green light to the Gokor suit this year blocked a similar suit in 2017, also against Dr. Schlievert and also pressed by criminal defense attorney Lorin Zaner, a veteran of wrongful abuse cases. The plaintiff in the earlier decision was Molly Blythe, the mother of twin daughters born prematurely, as many twins are. The second-born twin, referenced as “KB,” endured first manual repositioning and ultimately vacuum extraction, emerging with “significant bruising” on her scalp. At early visits with the pediatrician, the mother expressed ongoing concerns over KB’s frequent vomiting and difficult sleep patterns. At the age of two months, with her head growing unusually fast, KB was found to have bilateral subdural hematomas and large extra-axial fluid collections. Doctors performed surgery to relieve the brain pressure. The first eye examination, conducted after the surgery, revealed retinal hemorrhages,. Mr. Zaner hired a full complement of experts—a neuroradiologist, a diagnostic radiologist, a pediatric opthalmologist with a specialty in retinas, a pediatrician with extensive child abuse experience, and a biomechanics professor. After receiving their reports, which enumerated other possible causes for the findings, the state dropped criminal charges. Rather than engage in further court proceedings, the mother consented to a family court order giving custody of the girls to their maternal grandmother. Then she filed suit against Dr. Schlievert and the county. I can understand why the unanimity of opinion among child abuse experts gives the impression that shaking theory is well established—that conclusion, alas, is one of the reasons this fight is so difficult. The problem is that shaking theory was adopted before it was proven scientifically, and the research since that point has been premised on the assumption that convictions and plea bargains prove abuse. My best hope is that Judge Carr might notice a pattern in the child abuse suits that come through his court. 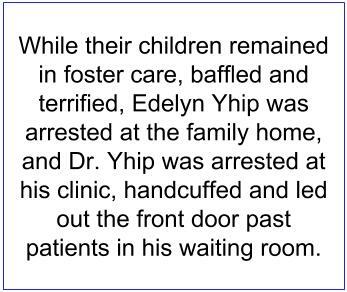 A few popular but unproven tenets of child abuse medicine—that the triad proves shaking, for example, and the symptoms are always immediate, or that spiral fractures mean abuse—continue to derail accurate diagnosis and mar the good work that child abuse physicians otherwise do.